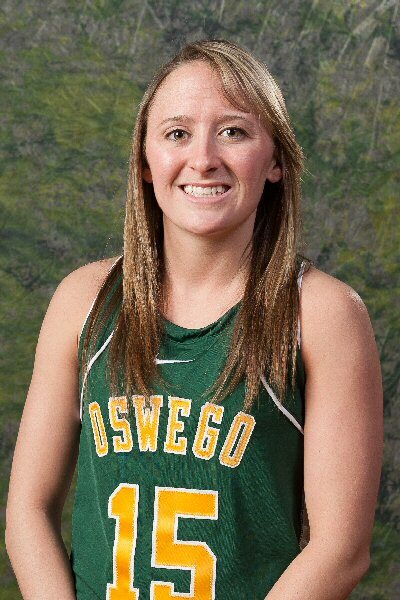 CORTLAND, N.Y. – Oswego State junior goalie Nikki Greco (Syracuse, N.Y.), junior midfielder Mackenzie Kjerstad (Baldwinsville, N.Y.) and junior defender Megan McNulty (Holbrook, N.Y.) have been named to the All-State University of New York Athletic Conference (SUNYAC) Women’s Lacrosse Team as voted on by the league’s coaches. Greco garnered First Team honors, while Kjerstad and McNulty were Second Team honorees. This marks the first time since 2005 that more than one Oswego State player was named to the all-conference squads. 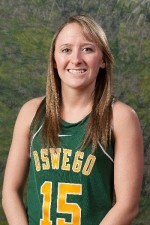 Greco played a large role in the Oswego State defense finishing the conference schedule ranked fourth in goals against average at 10.26, which was more than nine goals lower than it was in 2012. Overall, she ended the year at 7-7 in the cage, while also tying for the team lead in groundballs at 37. Greco is the first Laker to receive First Team All-SUNYAC recognition since 2005. McNulty, a co-captain, was also a critical piece of the Laker defense showing such improvement. 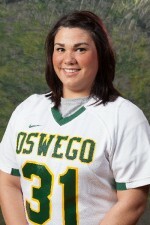 She recorded 17 draw controls, scooped up 17 groundballs in eight conference contests and was often assigned to the opposition’s top attack player. 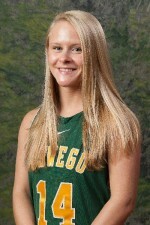 Kjerstad was a pivotal two-way midfielder for the Lakers, as she posted 10 goals and two assists for 12 points and registered 18 groundballs and 15 draw controls. The Lakers finished the season at 8-8 overall and 4-4 in the league standings.